James R. “Jim” Jones, the owner and producer of Tell-Tale Productions, is a third generation railroad enthusiast. 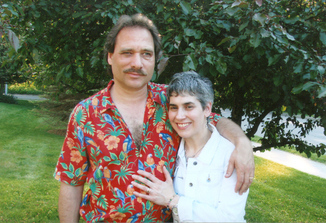 Jim, a Burlington, Vermont native, has maintained a lifelong interest in railroading. Jim’s love for the iron horse stems from early ALCO cab rides with his father, noted railroad author Robert C. Jones. Jim’s grandfather, Cecil O. Jones, began the family tradition in 1916, when he signed on with Canadian Pacific. Jim has authored two Colorado railroad chronicles for Sundance Publications Limited. His photos have been widely published in books, magazines, and calendars. For thirteen years, from 1987 to 2000, Jim was a Denver-based major market and national network radio personality. His voice has been heard by millions worldwide. Jim added a Technical Communications degree, with highest distinction, from Metropolitan State College to his credentials during those years. 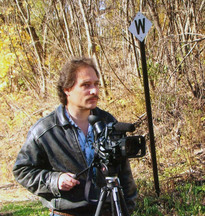 The advent of high-quality digital video editing and equipment gave rise to this media professional’s production of unique video. Jim’s “secret weapon,” wife Marilee, lends her editing skills to scripts and cover photos. Paul Gittelsohn and the Videosyncracies staff provides technical support with animated maps, cover creation, DVD authoring, and replication.